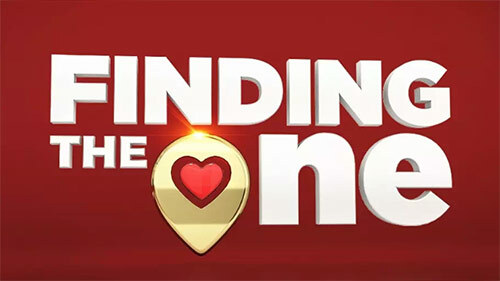 New TV dating format calls for singles who want to find "The One"
So you've scrutinized every pic on Tinder to the point that you want to smack them all. What now? The advantage of dating shows is that everything is caught on camera so your dates have nowhere to hide. In the case of M-Net's latest dating format Finding The One, they're screened, preened and prodded before you have to clap eyes on them. The format in a nutshell: it's the reverse of Date My Family. Instead of the bachelor/bachelorette choosing their date based on their potential date's families, singles have their dates chosen for them by their families and friends. Three people who want only the absolute best for a single bud or family member join forces to take on the important task of identifying three potential love interests from a dating pool. During the first crucial phase, the panel of three will sift through potential dating diamonds and dust. They will consider every piece of information they can dig up about the potential love matches, grill them with difficult questions, dissect their social media profiles and conduct compatibility gauges. Will the panel manage to identify and hone a true "connection”? If it’s a “yes”, their chosen one will go on a high-stakes blind date with their single friend. If not, the friend will arrive alone at a romantic dinner table for two. You can also nominate a friend to enter. You need to submit two photos of yourself or the person you're nominating along with your entry. The series is looking for an array of love seekers across genders and sexual preferences. You need to be a South African citizen and over 18 to enter. You need to be single - never married or divorced. If your online application is successful, you'll be contacted by the Finding The One team for a call-back. The series is being produced by Okuhle Media and will air on M-Net in the second half of 2019. Closing date for applications: Valentine's Day, 14 February 2019.